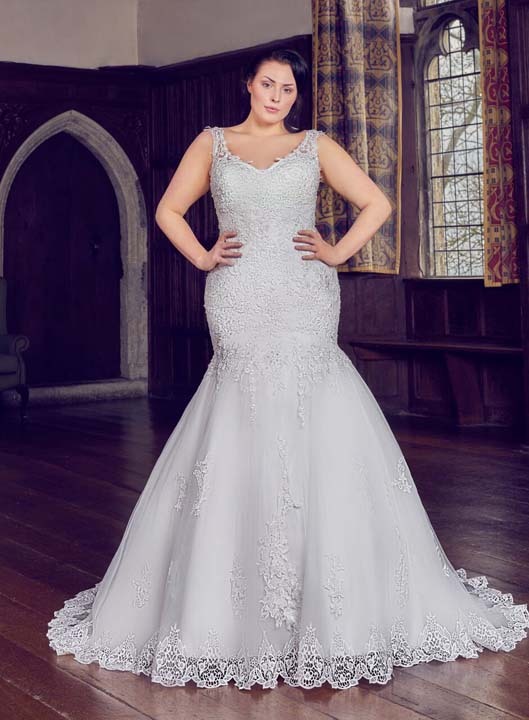 Show off your figure in this gorgeous mermaid style wedding dress. With lace beaded motif straps this style allows you to wear a bra is you desire. Beautifully hand finished with crystals and diamante sequins and an intricate lace hem.